As I staggered into central Manchester, hair stuck to sweaty face and slightly choking on the allegedly rejuvenating Jelly Baby I had just been handed, I briefly wondered what on Earth had possessed me to even attempt the Great Manchester Run – my first ever competitive 10k race. In fact, my first ever 10k full stop – I had only done up to 8k in training but was widely reassured I would barely notice the extra two on the day. This was proving to be a big fat lie but I had set myself this challenge and I had not come this far to give up and walk the last kilometre. Forging a path through those less stubborn and those in ill-advised fancy dress, I inwardly prayed that the distance markers now placed every 200m would pass a little faster than they seemed to be doing. Passing the last marker, I glanced at my running watch and saw that I was not far off 56 minutes, and I sure as hell wasn’t going to be far over it. Mustering the last strength in my burning legs I gunned it for the finish line, willing myself out loud to get a move on as the crowds cheered us on from the sidelines. Finally I was there; stumbling through the metal archway with its giant clocks counting our achievements as we passed beneath them. Done – 56 minutes and 3 seconds. Claiming my finisher’s pack for my hard-earned medal, I turned the corner and headed in the direction of our meeting place at the Charity Village to find my little reason for doing it all – Joe. Almost exactly a year earlier, Joe was eight months old, and I was still carrying around too much baby weight and then some, being three and a half stones heavier. Six months of Weight Watchers, a new pair of trainers and some unbelievable will power later I had dropped three dress sizes and was fitter than I had ever been. My husband Andy convinced me to sign up for the Great Manchester Run which he had already completed a few times and I embraced the challenge, albeit reluctantly at first. I didn’t consider myself a ‘runner’. Could I do this? As I grew in stamina and fitness, first on the treadmill and then pounding out the kilometres on the street, I felt like I could actually do this thing, and at the front of my mind throughout was Joe. The thought of his little face spurred me on during drizzly training runs and pushed me to do another mile or two when I wanted to stop. I didn’t want to be an overweight mother who was too tired to play with him or become ill from not looking after myself. I had already had the scary experience of pre-eclampsia when 36 weeks pregnant, leading to a risky induced labour, and I couldn’t shake off the thought that if I didn’t start looking after myself more I was pretty much guaranteed to suffer with high blood pressure in the future and I didn’t want to be to blame for that. 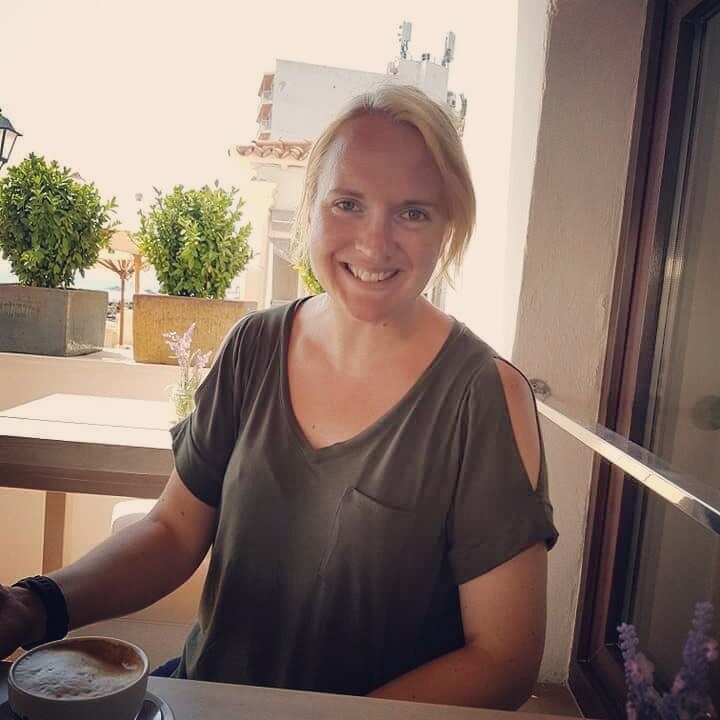 In part due to my experience with pre-eclampsia, I signed up to run the 10k for Tommy’s, the pregnancy and baby charity, who do amazing research work into the causes of premature birth, miscarriage and stillbirth. I ended up raising nearly £500 for them which was the icing on a very rewarding cake. As I fished my medal out of the finisher’s pack and hung its purple ribbon around my neck I really felt I had achieved something and I was absolutely buzzing with satisfaction. Posing for a jubilant family photo with Joe perched on Andy’s shoulders and holding our medals Manchester Run 2012aloft, I was already thinking about what I could do next. I had to keep running and I had to keep pushing myself, otherwise it would all be for nothing. Living in Newcastle, there was only one event that sprang immediately to mind – the Great North Run. So in 2013 I am stepping up my running efforts, competing in the Great Manchester and Great North 10k races and the Great North Run, fitting in training around working full-time and being mummy to an energetic two and a half year old. 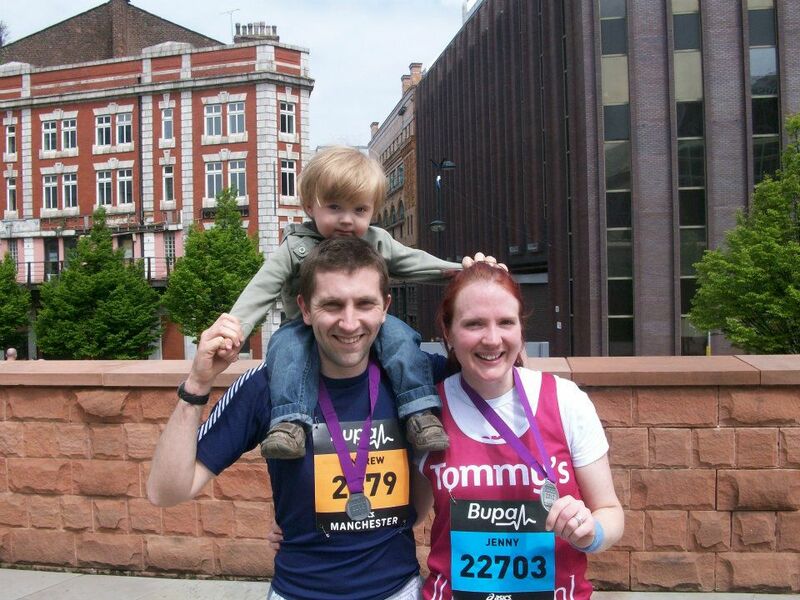 Together with Andy, I am raising money for Tommy’s once again, through run sponsorship and our online auction page Bids for Babies which has become a fab little side project to keep us even busier! Come September, I will hopefully be half-marathon ready and in spite of all my attempts to stop him growing up too quickly, Joe will turn three. I hope to share with you the triumphs and tribulations of life as a working mummy on the run as I strive to be the Great North Mum!